Stone Warehouse products recently featured on an episode of George Clarke’s Old House New Home. This series follows George as he helps couples make their period homes fit for modern life. 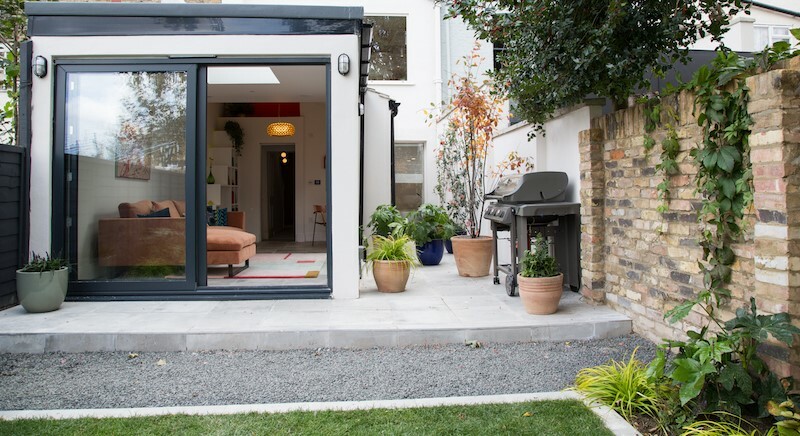 Episode 2 featured Shrez and Tom who had been lovingly restoring their Victorian terraced home in South East London. However after a rogue trader took almost all their savings they enlisted George Clarke, one of the UK’s leading architects. George showed them how to make financially sound design ideas to completely re imagine their space. In order to save money Shrez and Tom decided to focus on renovating the bottom two floors first as they were going to feature the kitchen/diner, master bedroom and study area. Additionally their renovation included a complete revamp of the garden. Therefore they worked with designers from GDRN who are regular customers of Stone Warehouse. Our Black Basalt gravel under the seating area and in front of a shed. We were contacted by Shrez and Tom who were part of episode 2 and they asked us to supply our Black Basalt Gravel in a 10mm size to complement their contemporary garden design. Their garden is overlooked from both the master bedroom and living space so it was vital to get right. Also it was an integral part of the ground floor development as takes the living space beyond the realms of the interior. 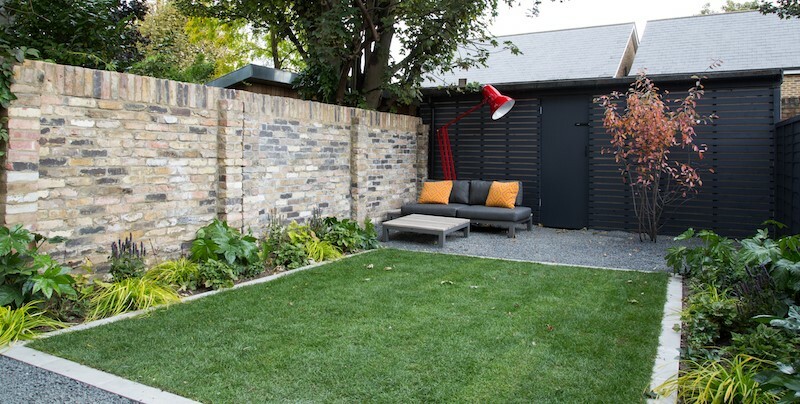 Our Black Basalt 10mm was the perfect choice to for their outdoor space as when the chippings are dry they are a charcoal grey which complemented both their grey seating area and shed. Their garden also featured a variety of plants and trees that emerge from the gravel. Black Basalt gravel linking the house to the garden. We have seen an increasing demand for our Black Basalt products over the past couple of years as the popularity of the colour grey in landscaping has risen. Buying trends have seen grey superseding the traditional buff and gold colour tones. You can catch all episodes of George Clarke’s Old House New Home on 4od.